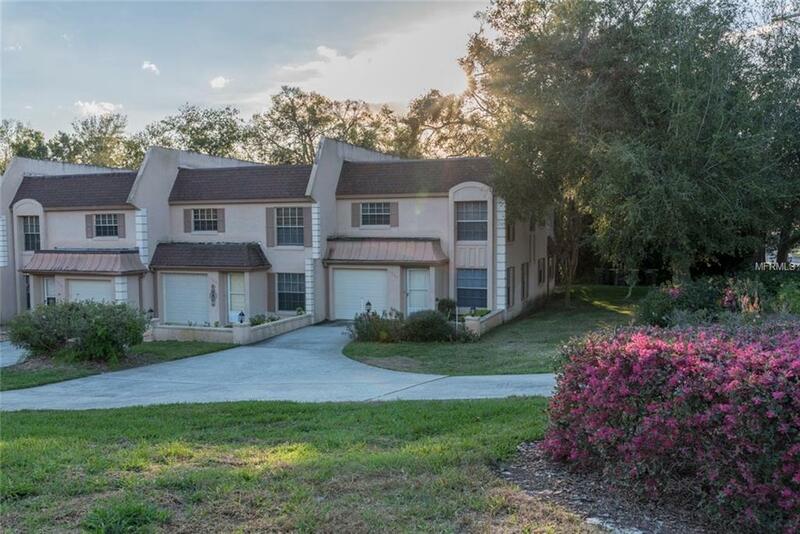 Great end unit townhouse with private driveway, located in the City of Clermont with Lake Access to the Clermont Chain of Lakes! Don't miss out on this cute 2 bedroom 2.5 bath townhouse with the lake just a few steps out your back door! Very well maintained home featuring nice high vaulted ceilings when you enter the home. Downstairs offer a large family room, living/dining room and kitchen with beautiful cherry cabinets. The laundry room which includes washer/dryer is located just off the kitchen. Upstairs features two spacious bedrooms including the Master bedroom and Bathroom. The second bedroom has a loft off the room which is great for an office or game area. Relax outside on your covered and enclosed porch or take a quick walk down to the newly renovated dock. Enjoy the gorgeous sunsets and/or hop on your boat and cruise the Clermont Chain of Lakes! Excellent location! Walking distance and quick bike ride to Historic Downtown Clermont where there's the Farmer's Market, Food Trucks, restaurants, shopping etc. Don't miss out on this wonderful townhouse!